After facing initial hiccups, the Uttar Pradesh government has achieved robust growth in paddy procurement with the current tally of over 4.3 million tonnes (MT). The numbers are already ahead of last year’s full-season figures. So far, UP has already achieved over 85% of its target to procure 5 MT of paddy during the current kharif marketing season. Earlier, Chief Minister Yogi Adityanath had pulled up the UP food and civil supplies department for the slow pace of procurement initial months of the ongoing procurement season, which began from October 2018 and would continue till February 2019 end. In fact, the tally of 4.3 MT is 7.5% more than the numbers posted by procurement agencies during the corresponding period last year. The present season’s performance was idler in comparison to the previous years during the initial months. In the run-up to the 2019 Lok Sabha elections, the ruling Bharatiya Janata Party (BJP) does not want to give any chance to the opposition parties to attack the Adityanath government over farm issues. In 2016-17 and 2017-18 seasons, the state had logged paddy procurement of only 3.5 MT and 4.3 MT respectively against the annual targets of 5 MT. This year, the government is confident it would achieve the procurement target. 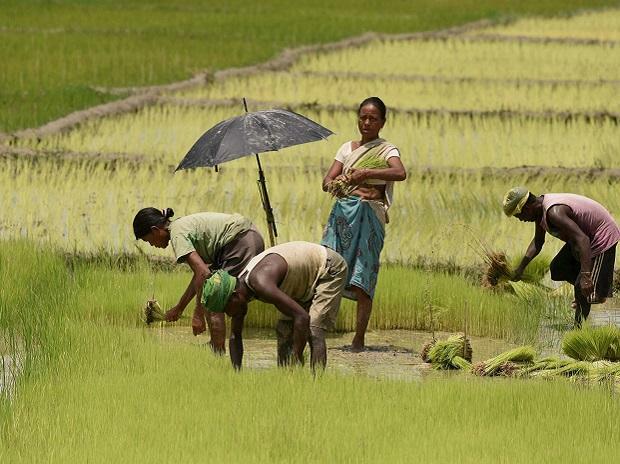 So far, more than 0.6 million paddy farmers had been paid Rs 7,641 crore against procurement even as the food department expects the total payout during the current season to breach Rs 8,000 crore. The procurement process was slower in the starting months since a few norms have been tweaked. However, later the government had relaxed the online verification norms for procurement of up to 10 tonnes, which fueled the process, while the state allowed 3% subsidy on purchase of hybrid paddy. Paddy procurement started from October 1 in western UP and some central UP districts. It will continue until the end of January 2019. The process in eastern UP and the remaining central UP districts started from November 1. This will continue until the end of February 2019. This year, the state had hiked the paddy minimum support price (MSP) by Rs 180 to Rs 200 per quintal (100 kg). The price was revised from Rs 1,550 per quintal to Rs 1,750 per quintal for the common variety, the corresponding figure for Grade-A paddy was increased from Rs 1,590 per quintal to Rs 1,770 per quintal.